This rare error can be produced if the MySQL server where your MIDAS database resides is currently overloaded (there are more connections/queries to the database server than it can concurrently handle at any given time). In these instances, it's likely that the MySQL server that your MIDAS scheduling system uses is a "shared" MySQL server - that is, it's also used for other non-MIDAS related databases/applications within your organization as well. As such, when the total number of connections/requests to the MySQL server (not just those originating from MIDAS) reaches the maximum allowed by the MySQL server, it will begin rejecting further requests - and a "Too many connections" error will be generated by the server. 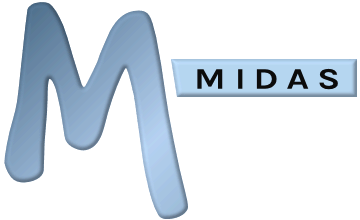 A "Too many connections" error - whilst extremely rare - is usually only temporary and once the number of concurrent connections to your MySQL server drops, you should then be able to access your MIDAS system again. Consider migrating some of your existing MySQL databases across to other MySQL servers, if your existing server is struggling to handle the load of multiple MySQL databases on a single server.